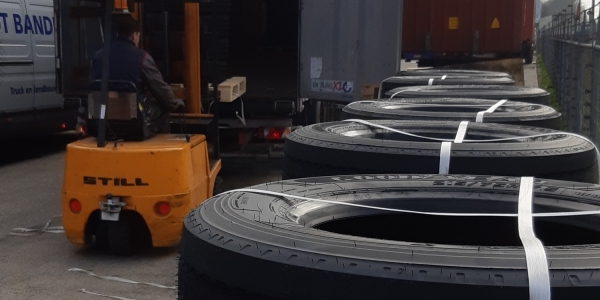 We have all the most common truck tires in stock and furthermore all famous brands are available, such as: Michelin, Good / Year, Firestone, Bridgestone, Continental, Dunlop etc ..
We can also supply Chinese and Eastern European tires. We also supply Cover Bands in every profile! 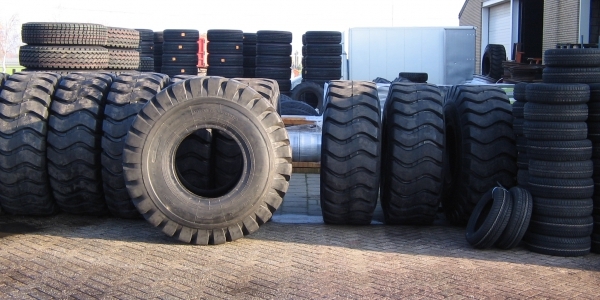 Mounting and balancing and possibly retrieving and returning tires is no problem. 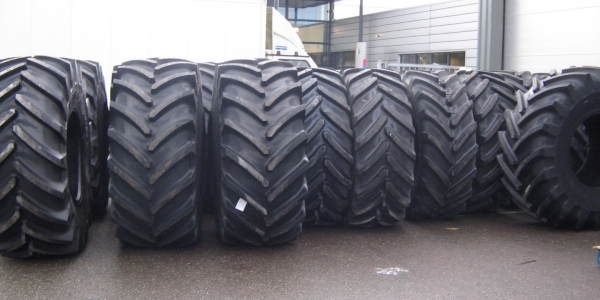 Thanks to years of experience with tractors and agricultural machinery, we can provide you with expert advice and offer a very complete range of tires and wheels for all types of agricultural vehicles. This also applies to used tires and wheels. Furthermore, the amusing of wheels is no problem for us. 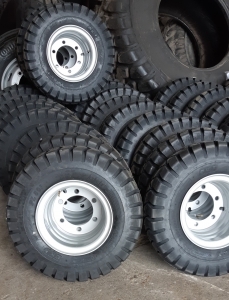 Earth moving tires from mini diggers to shovel, dumpers available in all sizes. 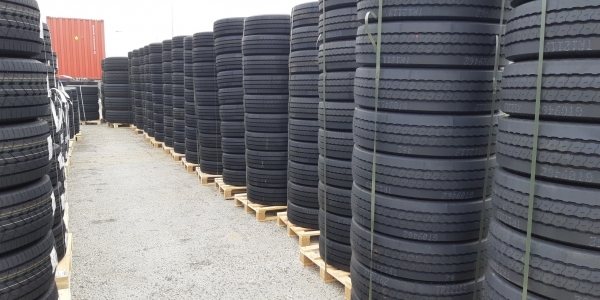 Also ask about our used tires and wheels for earthmoving. 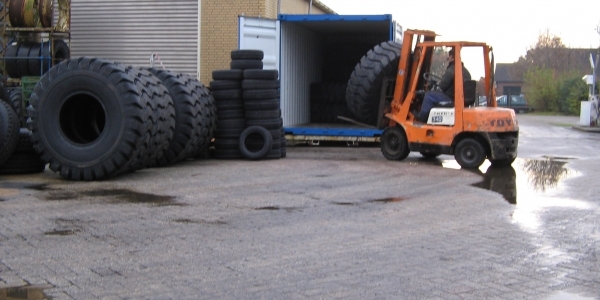 Industry tires are available from large to small and in air and solid. 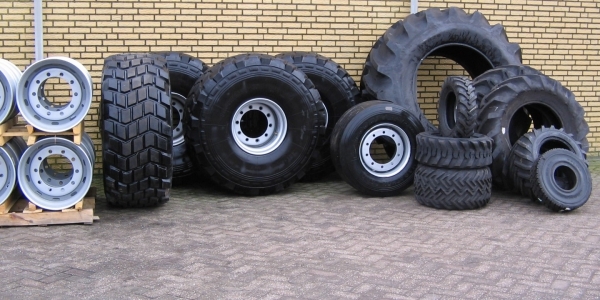 And of course also in used tires and rims. 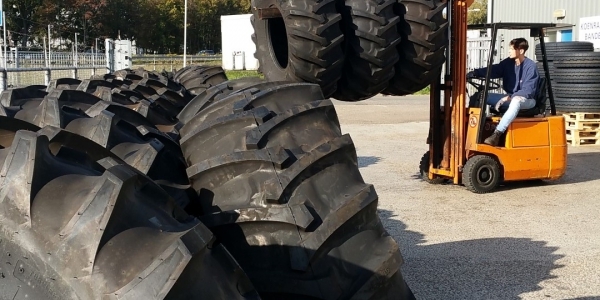 We are always interested in the purchase of new and used tires from truck, agriculture, earth-moving machinery etc .. We are also always interested in truck and earth moving tires, carcasses, radial and new and used rims. 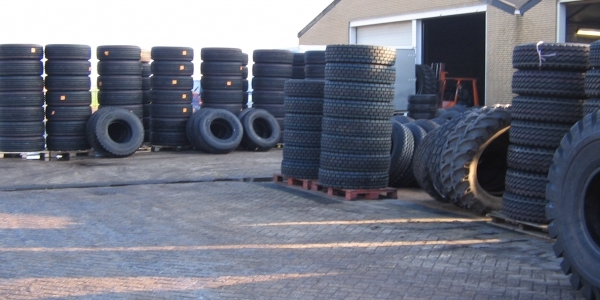 Former army tires and aircraft tires are also welcome.